In December 2017, the Office of Academic Innovation launched an audio podcast series called Origin Stories. Three episodes later, the podcast is still going strong with another about M-Write planned for June. Listen and subscribe to the series on iTunes. 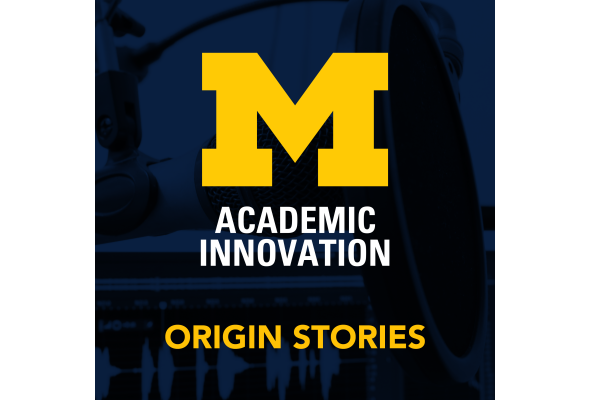 Origin Stories tells the tales of why and how U-M Academic Innovation initiatives came to be, and examines them in more depth. Through conversations with faculty innovators behind the digital ed tech tools, the series uncovers early motivations to innovate on teaching and learning at U-M.